Rolex vs Omega Case Tube & Crown: Which Is Better Quality? In this weeks post, I will compare the crown and case tube between a standard Rolex and an Omega Seamaster. This is one of the biggest differences between the two watches and why I like the Rolex so much better than the Omega. 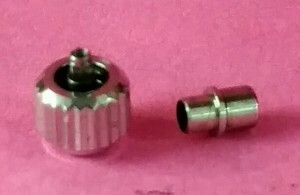 The Rolex case tube is a simple threaded stainless steel part with an internal gasket installed. It is the essence of simplicity, you unscrew the old one, and screw in the new one. I can replace a case tube in about 2 minutes, nothing to it, just about the easiest repair that you will ever do as a watchmaker. The Omega case tube is a different story. It is frictioned in place and just about impossible to replace. I have done lots of research on this repair and there is no clear cut way to do this one quickly or easily. The tube is pressed in place at the factory and there is no easy way to get the old one out and install the new one. I have tried to pull it out, never works. It just won’t come out in one piece. So now you try and twist it out, never works, since the outer portion of the tube normally breaks off and leaves the inner portion still inside the case. Now you need to grind out the old part, then try and friction or cement the new tube in place. The problem here is the tube needs to be perfectly straight, if it is tilted at all, the crown will not screw down properly. It also needs to be watertight or else the watch will leak. 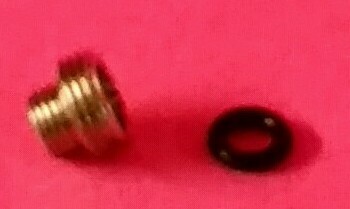 The other problem with the tube is that the threads are on the inside of the case tube and are quite fine. They strip easily and there is no gasket to change. The case tube on the Rolex has very sturdy threads and the gasket can also be changed easily. Hands down this is the single worst part of this watch. The crown on a Rolex is quite a nice piece of workmanship. It is made in 4 parts that can come apart and can be repaired if needed. The crown is made to be spring loaded and if needed, the spring can be cleaned or changed if it is not working properly. 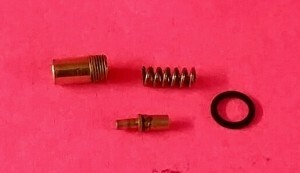 The crown also has a removable gasket that is quite easy to change. Overall, a very simple and sturdy design. 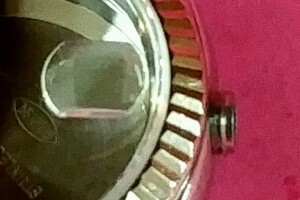 The Omega crown is well built, but it does not come apart, and there is no way to change the gasket after an overhaul. The crown is not fixable, it is just replaceable. The threads are on the inside of the crown and are a bit fine, so it is easy for a customer to cross thread it if not careful. This part of the comparison is not even close, the Rolex tube and crown are hands down better than the Omega. We are coming to the end of the comparison, only a few more things to talk about. Ditto, My 34 year old GMT is fine with me, Mark serviced it a few years ago. Thanx for the continuing education … The “good doctor ” has serviced my “old friend” several times and patient (Rolex) celebrated it’s 50th anniversary recently. Looking forward to my next “class”. Your crown discussion was very informative. Thank you. Can you try a temperature difference to remove the Omega press fit ? Heat the case and cool the insert ? That was going to be my next step to solve this issue. I think that they are heat installed at the factory. I will post results when I have a chance to try that technique. I was afraid that when my Rolex’s stem would not screw on, I thought that my watch was ruined. It is great to find out there is an easy fix. Thanks for the info. Good work Mark, but I have to make one point. Omega’s are nice watches but the Rolex watches are in a better class. Omega had something great at about 1970, the Constellation were incredible. however they changed direction. A good and fair comparison to the Rolex would perhaps be and IWC Portugese Automatic (with in house Schaffhausen movement), but those watches are scarce and hard to have them in the shop. I followed and liked your work, it was enjoyable. How about crown tube for Tag Heuer Carrera Automatic ? Is it same as Omega Speedmaster? Thanks for the Omega description! 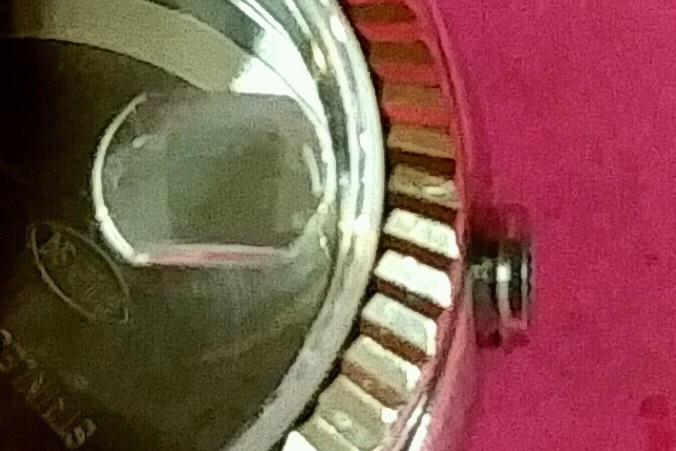 Recently refurbished a DateJust for a co-worker and now have a Seamaster torn down that had water damage. 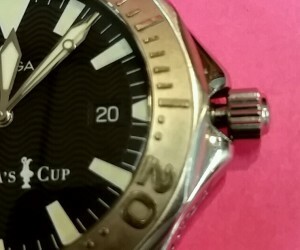 The Rolex was straight forward but no visible seals what-so-ever on the Omega KM6324 case. Nothing for grooves to put o-rings on the stem and I don’t see a thing in the tube that is gonna help either. May end up stuffing something in there to help close it off if I can’t find better info. 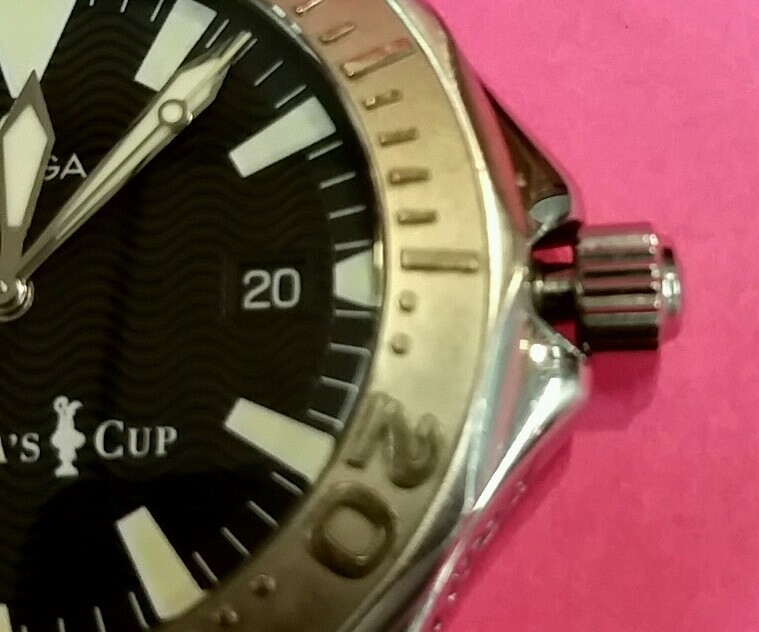 Find it hard to believe a watch called a Seamaster wouldn’t have SOMETHING in the tube/stem to make it watertight. Looking for any help someone could offer. Thanks again for the thread! Hi Mark, I live in India and the Rolex retailer here gave me an estimate for servicing and repairing my Rolex Submariner, now 11 years old. These are the parts he plans to replace: Reversing Wheels , Main Spring , Train Wheels , Crown , Case Tube , Crystal Gasket , Case Back Gasket , Date Indicator. He has given me a costing of USD 775. Should I go for it or send it to Switzerland or USA? Your advice will be much appreciated!